Mildew appears on moist materials like wood and drywall as a thick, velvety layer on the surface of the material. It’s common for mildew to grow in households around the world and its growth indicates there is a moisture problem. 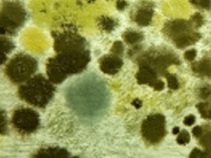 Like mold (pictured), mildew is troublesome and should be immediately removed. Keep your eyes and nose open to signs of mildew in your apartment. Not only does mildew develop in houses but it also develops in apartments. Unfortunately, mold and mildew problems can be more difficult to repair for people living in apartment buildings, because mold from the affected unit could easily spread to neighbouring units and eventually contaminate the entire building. That’s why taking immediate action to remove mold once you discover it is so critical in preventing severe contamination. Although mildew does not carry the same potential health hazards as a full blown mold colony, it can nevertheless endanger your health in an apartment, as apartments are generally tighter spaces. As a result, you can breathe in the dangerous spores and volatile compounds as they enter and linger in the atmosphere. With long-term exposure to mold, you could develop allergies, flu-like symptoms, respiratory conditions, chronic headaches, dizziness or nausea, and the list goes on. Mildew emits musty odours, which are caused by microbial volatile organic compounds emitted by the mold spores. These fumes are especially strong and prominent in small spaces such as apartments. Besides health hazards and odours, the appearance of mildew can wreak havoc on the structural integrity of your apartment, as it damages walls, ceilings, furniture and upholstery. For smaller contaminated areas, you can clean them using vinegar and water, but make sure to dry them thoroughly afterward. In many cases, tackling mold and mildew should be left entirely to the professionals. It’s important that the job is done right the first time, to ensure a proper and safe remediation. If you suspect there’s an issue with mold or mildew in your apartment, contact your landlord immediately and request professional mold remediation. Unlike houses, apartments are not usually self-contained living environments. Apartments exist as interconnected units with common ventilation and plumbing systems. As a result, if one apartment has a mold and mildew problem, it can easily spread to other apartments through the air in HVAC systems. 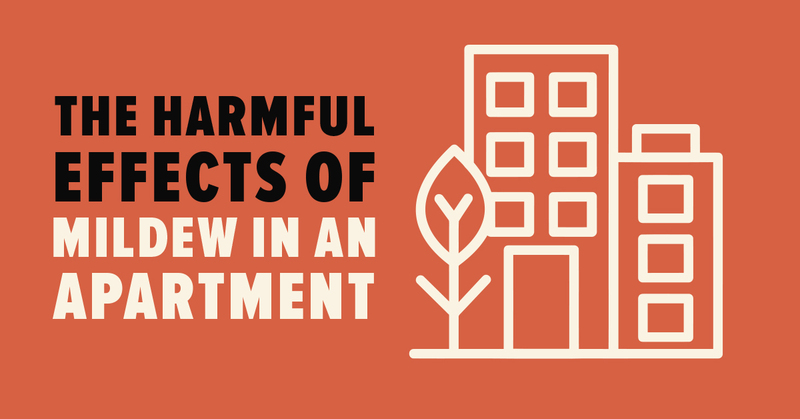 This means that even if you remove mold from your apartment, it could still come back if other apartments in the building remain contaminated. In addition, it’s very difficult to find the source of the contamination especially if you don’t have the help of a professional mold inspector. If you fail to notify your apartment building’s management team and/or person of the mold problem and, as a result, it continues to spread or damage the interior, you may lose your security deposit in order to cover the cost of repairs. Depending on the terms of your rental agreement, you may even be held you liable for additional damages. Thus, it’s important that you take care of any mold problems immediately and the best way to do this is to call a mold testing and mold removal expert. Don’t live in the presence of mildew and don’t live in the presence of mold. Prptect your apartment and protect yourself.